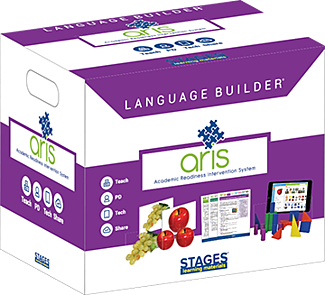 ARIS combines the research-based Language Builder Picture Card sets with 3-D manipulatives, lesson plans, a classroom implementation system, baseline assessments, paired digital lessons, and a parent training component for the most complete early autism education curriculum available today. ++ Comprehensive structured curriculum to provide teachers and specialists with support to reduce their workload and allow them to focus on the student learning experience. ++ Integrated parent-training component to give parents support to help children generalize skills learned with their therapist or teacher. 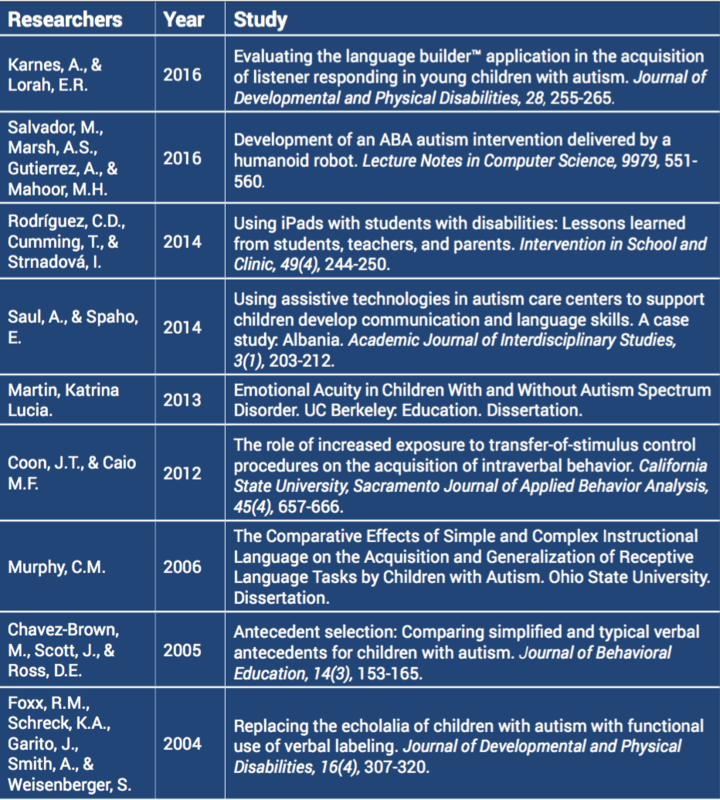 ++ 20 Evidence Based Practices (EBPs) recommended by the National Professional Development Center on Autism Spectrum Disorder for language skill development for children with autism. 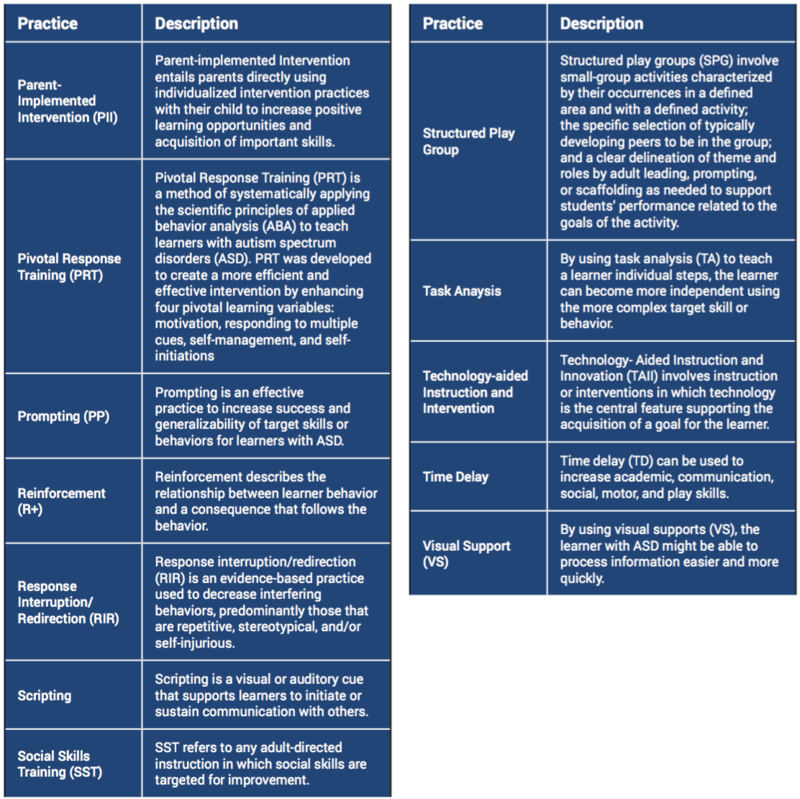 The Academic Readiness Intervention System (ARIS) is a comprehensive early autism education curriculum developed by Stages Learning and based on the Language Builder Picture Cards that have been a staple in autism, ABA and special needs programs and classrooms for more than 20 years. 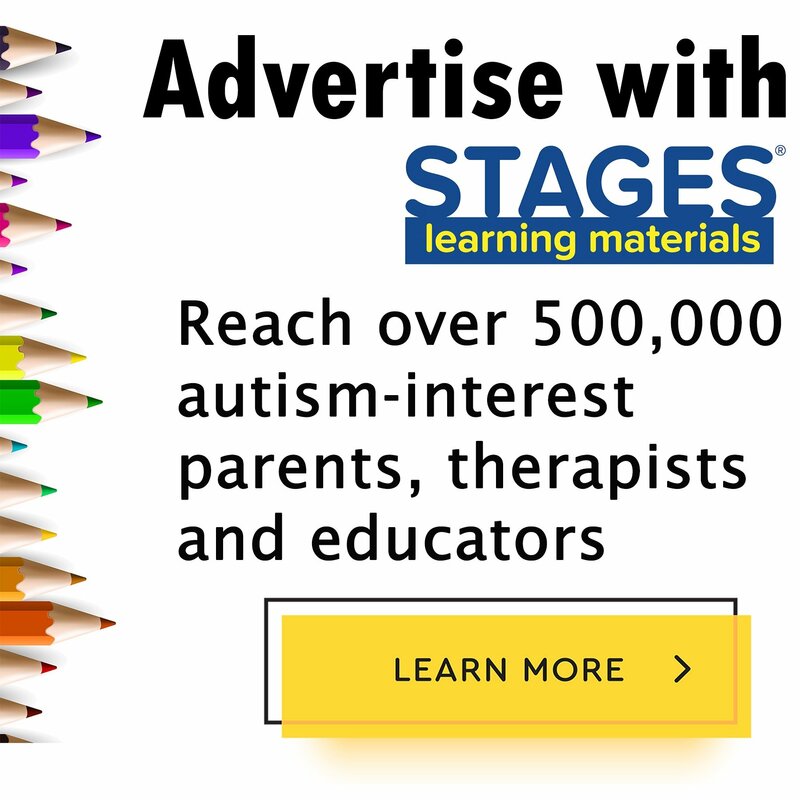 Based on the principals of ABA therapy, ARIS combines the research based Language Builder Picture Card sets with 3-D manipulatives, lesson plans, a classroom implementation system, baseline assessments, and paired digital lessons for the most complete early autism education curriculum available today. 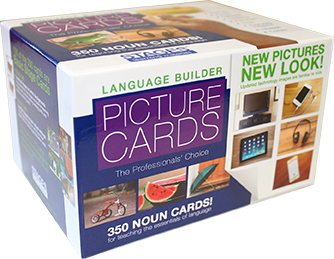 The Language Builder Picture Card sets from Stages Learning are the most widely used photo language tools for teaching key language concepts to preschool age children; children and adults with autism, developmental delay, or speech/language delay. Created over twenty years ago by a UCLA trained Behavioral Consultant who worked with pioneer researcher Dr. O. Ivar Lovaas at the Lovaas Institute, the 981 Language Builder Picture Cards are based on established principles of ABA research for comprehensive language instruction. The Language Builder Series has become a staple in home and school programs across the world. 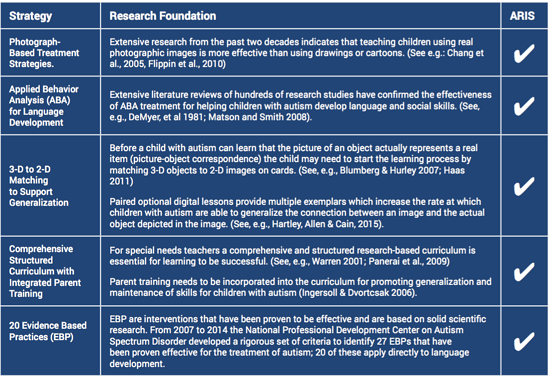 Table 1: Recent research based on Language Builder Picture Cards. Researchers in the field of autism and language skill development choose to use the Language Builder Picture Cards because they are designed specifically for ABA treatment for children with autism and other language delays and can provide a consistent treatment tool to assist researchers in fine-tuning recommended therapeutic practices. The collection of cards provides identical cards to teach pre-language matching, cards to teach categorization and similarities, color cards, shape cards, and authentic photographic images to depict realistic pictures of objects in order to provide a high degree of iconicity, the similarity between an image and the actual object it represents. This high degree of iconicity is important in teaching language skills to children with autism (Deloache & Burns, 1994; Callahan, 2000; Hartley & Allen, 2015). 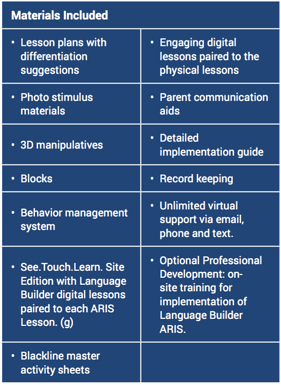 Based on the principles of ABA therapy, and designed for the classroom, Language Builder: Academic Readiness Intervention System (ARIS) combines the research-based Language Builder Picture Card sets with 3D manipulatives, lesson plans, classroom implementation system, baseline assessments, and paired digital lessons for the most complete early autism education curriculum available today. Created in 2016, this comprehensive curriculum is designed using Evidence Based Practices (EBPs) recommended by the National Professional Development Center on Autism Spectrum Disorder. ARIS provides a comprehensive and structured complete curriculum to support special education teachers in their important work by greatly reducing the time they need to spend pulling together appropriate curriculum, lesson plans, assessments, parent support resources, and lesson materials to support their teaching. The Language Builder Picture Cards are designed specifically to support ABA therapeutic strategies and the materials provided in the set provide the teacher or specialist with everything needed to carry out and track each lesson for every student. 3-D objects correlated with the cards and optional digital App provide essential support for generalizing language skills for students with autism and other developmental delays. ARIS can be used in an autism-only classroom or an inclusion setting that includes children on the lower end of the spectrum. It is designed for special education teachers, Board Certified Behavior Analysts (BCBAs), or Speech Language Pathologists (SLPs) doing pull-out or classroom based intervention for children with autism or related disorders or delays. ARIS is specifically designed to meet the needs of students with moderate to severe Autism Spectrum Disorders (ASD), however the curriculum is appropriate for students with a range of developmental or cognitive disabilities. The lessons in ARIS follow a logical progression that covers language, pre-academic, motor, social and self help skills that are critical to the academic and personal development of all students. The lessons in the ARIS curriculum are best suited to students from preschool through elementary school, but some may be appropriate for older students with more severe impairments. 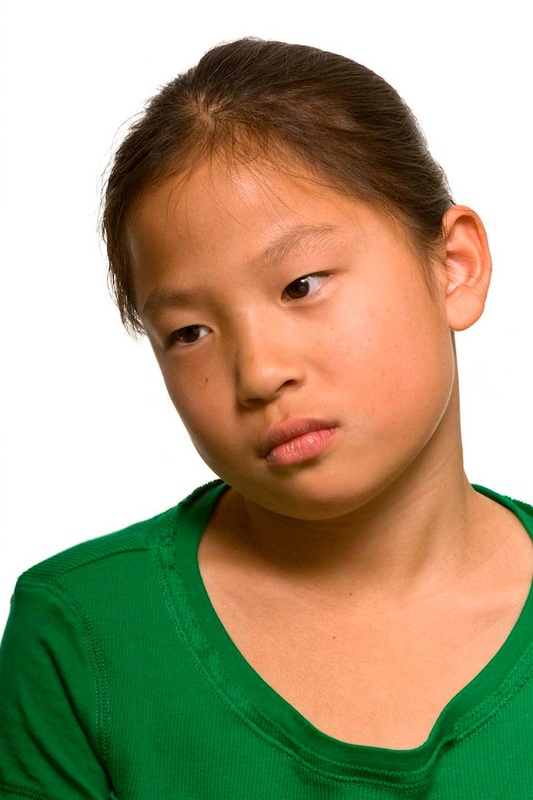 Language acquisition and impairment are common characteristics of children who have autism (Klin et al., 2002). It is estimated that at least 80% of children with autism that are younger than 5-years-old are non-verbal when they enter special education classes (Bondy & Frost, 1994) and 30% are minimally verbal at 9-years of age (Anderson et al., 2007). 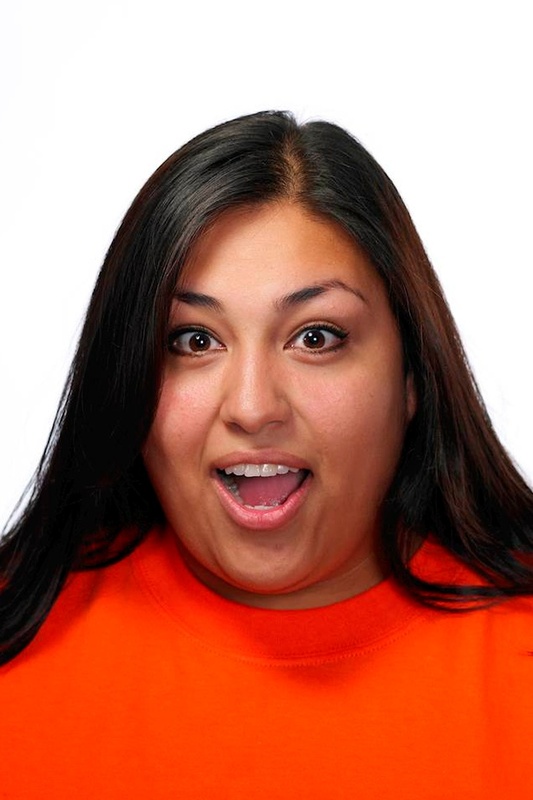 Image-based methods such as the Picture Exchange Communication System (PECS) and the Stages Learning Language Builder Cards and Apps are commonly used in ABA therapy and in special education classrooms. Pictures “are one of the most widely available and effective of all the teaching material genres” for teaching language skills (Chang et al., 2005, p. 147). Researchers have demonstrated that using photograph-based treatment strategies are effective in helping minimally verbal children with autism learn language skills (Flippin et al., 2010). And researchers have also confirmed what many parents of children with autism already inferred: that children with autism are strong visual learners and process information differently from their typically developing peers. Extensive research from the past two decades indicates that teaching children using real photographic images is more effective than using drawings or cartoons. Photographs depicting realistic pictures of objects provide a high degree of iconicity, the similarity between an image and the actual object it represents. This high degree of iconicity is important in teaching language skills to children with autism (Deloache & Burns, 1994; Callahan, 2000; Hartley, Allen & Cain, 2015). A recent study (Hartley & Allen, 2014) verified the findings of earlier researchers by demonstrating that children with autism and young typically developing children can contextualize pictures and use them to adaptively guide their behavior and learning. The researchers found that an important factor in this learning was a high degree of pictorial iconicity. Research has also shown that by presenting multiple exemplars (such as a picture card and showing students the image on an iPad), increased the rate at which children with autism were able to generalize the connection between an image and the actual object depicted in the image (Hartley, Allen & Cain, 2015). The ability to generalize from a picture to a real object, or a stand-in for the real object such as a toy car, is directly tied to the iconicity of the picture or object. In a 2008 study, different groups of children were taught the name of a novel object using pictures of the object. One group was show an actual photograph of the object, and the other group was shown a cartoon drawing of the object. When tested on their ability to attach the name they had learned from the pictures to the real object, the children who viewed the real photograph were better able to extend the label to the real object (Ganae, Pickard & DeLoache, 2008). The effectiveness of visual supports comes, in large part, because the tools offer a non-transient message that accommodates for the processing time necessary for many students [with autism]. In addition, realistic photographs support children with autism by assisting them in accessing mnemonics. Mnemonics are mental tools that help people remember new information by storing new information with already known information, such as connecting the letter “B” to the word “Banana.” For a child with autism, using visual cues such as clear photographs on plain white cards provides strong visual cues to help them develop mnemonic devices and learn new words. Playing to the visual learning strength of children with autism can facilitate language learning and greatly improve a child’s ability to understand and communicate, allowing the child to be more independent and successful in developing life skills. Visual communication tools including objects, photographs, and digital photographs provide necessary supports for improving language skills for children with autism. Hundreds of research studies have confirmed that Applied Behavior Analysis (ABA) is the most effective and comprehensive approach for improving the lives of children with autism (Matson et al., 1996; Matson & Smith, 2008). Today, more than 25 states have passed laws mandating insurance coverage for ABA therapy because it is viewed as having the most promising treatment outcomes for children with autism. Research on ABA started in the 1960s with pioneer researchers Ivar Lovaas, Charles Ferster, Montrose Wolf and others. In 1981 an extensive review of the research on ABA summarized a decade of research and confirmed the effectiveness of ABA treatment therapies for treating autism (DeMyer et al.,1981). In 1996, researchers reviewed 251 studies on ABA and autism and validated the effectiveness of these therapies (Matson et al., 1996). The researchers concluded in their review that since 1980 ABA treatment has become increasingly sophisticated and beneficial. Early Intensive Behavioral Intervention (EIBI) is a subset of ABA therapy that uses a group of strategies that help children with autism learn. A chief component of EIBI is discrete trial training (DTT). DTT is a method of teaching in highly structured and simplified steps. Instead of teaching an entire skill at once, the skill is broken down and “built-up” using discrete trials that teach each step one at a time (Anderson & Romancyzk, 1999; Smith, 2001). When done correctly and devoting significant amounts of time to these discrete trials, EIBI using DTT has proven extremely effective. EIBI is carried out in a one-on-one environment with a specialist or teacher working directly on specific skills and skill levels of the individual learner. It is the most studied form of ABA and is based on operant learning focused on the development of language, self-help, and social skills (Sturmey & Fitzer, 2007). Parent participation in therapy is essential and helps children generalize skills learned with their therapist or teacher (Lovaas, 2003). In 2010 a meta-analytic study of the effectiveness of comprehensive ABA-based early intervention programs for children with autism concluded that based on 11 studies with 344 children with autism the experimental group of children that received EIBI as compared to control groups outperformed the control group on IQ, non-verbal IQ, expressive and receptive language and adaptive behavior. They concluded that their findings strongly indicated support for the effectiveness of ABA/EIBI therapy (Peters-Scheffer et al., 2010). Teaching early language skills to children with autism often begins with having children match identical objects. Before a child can learn that the picture of an object actually represents a real item (picture-object correspondence), the child may need to start learning by matching actual physical objects. It is often necessary to start by matching 3-D objects such as cups or toy cars and later transition to matching identical images on cards (Blumberg & Hurley, 2007). Teaching daily living skills to children with autism often depends on using activity schedules and sequencing charts. These tools are effective only at the point at which children have mastered the prerequisite skills of matching a 2-D image to a 3-D object (Haas, 2011). Until a child has the capacity to understand that a 2-D image such as a picture of a toothbrush represents an actual object, being able to prompt a child to engage in brushing their teeth cannot be accomplished using an activity schedule or card. 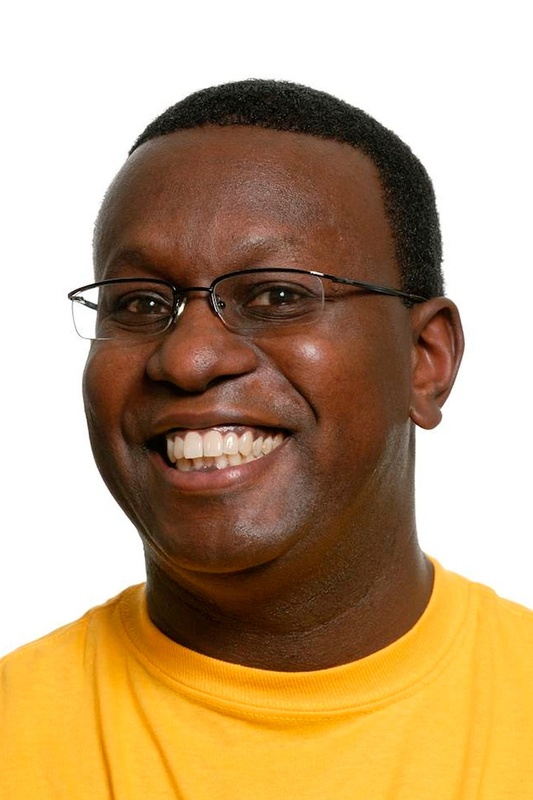 Some children will eventually be able to move from seeing an actual toothbrush, to recognizing a card that has a photographic image of a toothbrush, to recognizing the word “toothbrush.” Other children with more severe language delays will only be able to respond to 3-D prompts (Baynham, 2007). In a study using different types of photographs, symbols, and objects to teach language skills to 40 non-verbal subjects with autism the real objects proved to be much more readily recognized than any of the other representations of objects (Mirenda & Locke, 1989). Typically developing infants and children under the age of three also learn from viewing 3-D objects and often cannot process a 2-D picture of an object until a later age. Researchers testing 5-month-old infants found that these infants could not understand 2-D images, but when presenting with the same content in 3-D representations infants were able to understand the objects. The researchers found that by examining 3-D objects children naturally learn about objects in their world and that being able to examine a 3-D object provides additional sensory information rather than just viewing a 2-D image on a card (Mash & Boornstein, 2012). A curriculum is a Scope and Sequence (SAS) of instruction that essentially lets teachers know what they should teach and when they should teach it. Many special needs teachers by necessity must adapt a general education curriculum to serve the needs of their students, though these needs differ greatly from the needs of typically developing students (Warren, 2001). Special education teachers often have to understand curriculum in multiple grades because of the diverse skill levels of their students. In some cases, due to a shortage of time, special education teachers use Individualized Education Plans (IEPs) to create an instructional approach for a student, though an IEP is not meant to be a full curriculum. When teachers leave, it is challenging to maintain high quality consistent programs for students with disabilities. Stress related to an overwhelming workload and “frustrations with workload manageability” are key predictors of special education teachers leaving the field (Brownell et al., 1997; Billingsley, 2004). In a survey conducted by the Council for Exceptional Children (Warren, 2001) interviews with special education teachers suggested that their primary concern is with the curriculum. The Council found that a primary task for these teachers was to modify existing curriculum so that students with disabilities can experience success in school. Many new teachers said they felt overwhelmed at the beginning of the school year when reviewing district curriculum guides and scope and sequence charts. 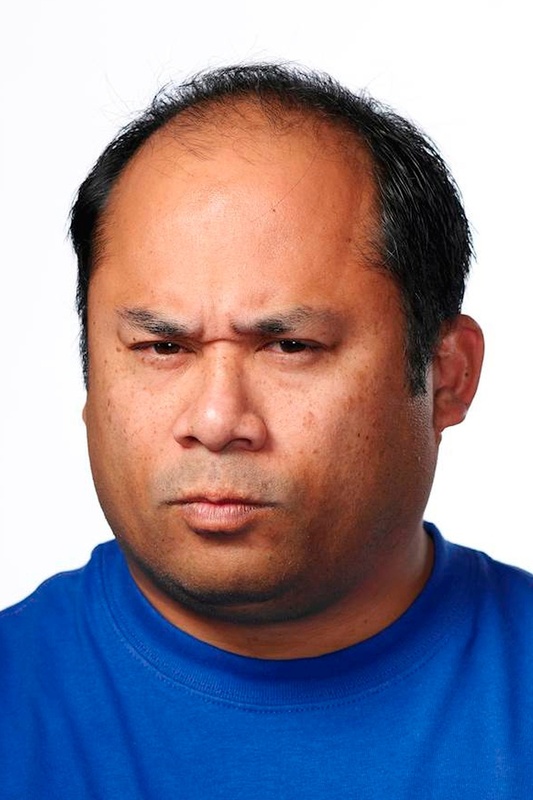 They said they felt “overwhelmed and somewhat frustrated with all this information given to them so early and so quickly.” Some of the teachers reported that they felt they had a good understanding of the curriculum and how to adapt it, but that they had no materials with which to implement a curriculum adapted for their students (Warren, 2001). For special needs teachers and their students with autism, having a clearly organized and structured research-based curriculum is essential. Students with autism greatly benefit from an environment that is predictable, organized and well structured (Panerai et al., 2009). Consistency is important for the education of any student, but for students with disabilities, consistency provides a safe and predictable environment to reduce anxiety and behavior problems so that learning can occur. Instituting a well-organized curriculum also provides for an effective environment for teacher training and evaluation (Darling-Hammond, 2012). Parent training is a key component of a well-organized curriculum for special needs teachers working with children with autism. Parent training has been shown to be essential for promoting generalization and maintenance of skills for children with autism (Ingersoll & Dvortcsak, 2006). The research on incorporating parent involvement in curriculum and therapy for children with autism has been well documented in the research literature over the past few decades (Lovaas et al., 1973; Koegel et al., 1996; Mahoney et al., 1999), yet many public school programs do not incorporate parent training into the special education curriculum. Research tells us that a key barrier to providing effective parent training includes parent education models that can be easily implemented in special education classrooms as part of a curriculum plan (Ingersoll & Dvortcsak, 2006). ++ A combination of either a randomized or quasi-experimental group design study and a minimum of three single subject design studies carried out by different researchers. The Language Builder Picture Cards and the new ARIS complete curriculum set have been designed to reflect research based best practices to support teachers and specialists in helping children with autism develop language and social skills in order to foster independence and success. ARIS uses ABA treatment strategies and provides teachers, SLPs and BCBAs with everything they need to walk into an instructional setting and focus on the learning needs of their students. By developing an inclusive curriculum that is built on twenty Evidence Based Best Practices recommended by the National Professional Development Center on Autism Spectrum Disorder, teachers, therapists and their students will experience positive outcomes in skill development.